Just wondering the status of the launch. Last I seen there was a glacier in the way! It must be open as one Capt. posted on Facebook he went out of there earlier in the week. Still looking for a definitive report on Mexico Point ramp. 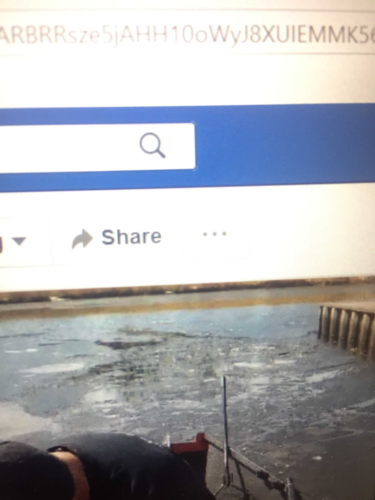 The Facebook page for salmon country marina showed the river still locked up solid upstream as of friday The state launch may very well be open but this gives an idea of the state of things. Its close but marginal. Tonight and tomorrow night will hit 15 deg which wont help. On the plus side you have your boat back! I thought your outlook was grim originally. Glad i was wrong. Im with you though. I spent all winter rigging a new boat and of course obsessing over it. Now is just a waiting game. 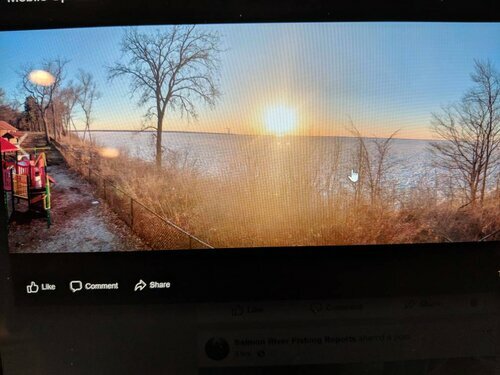 I fished March 28th last spring and was really hoping it would be cleared up soon. 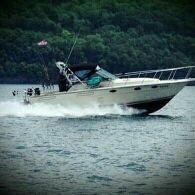 Need to get on the water! Here's a pic from thurs or Friday. Yeah... about what i thought. Wed morning should be a lot like that or worse after 2 15 deg nights in a row. anyone been up here recently? Thinking about taking a vacation day and heading up Friday. Wow that's interesting. I have been checking the Oswego webcam and it looks clear as far as you can see... Above freezing for the lows the next 3 days days with some rain tomorrow I figured Friday should be good to go. Maybe I'll have to plan on heading to oswego instead of Mexico? While my son was swimming at Mexico HS, I drove down to the Mexico point launch. It was all clear of ice as of Thursday night. The lake outside the river was all clear too. There were small chunks of ice floating around, but nothing major. Floating docs were not in yet, FYI.